GENEVA - The three words “Vague but exciting” graced the back of a T-shirt worn by Mick Storr, one of the most senior physicists at the European Organization for Nuclear Research, known as CERN. Those were the words which Tim Berners-Lee’s supervisor used back in 1989 when the young CERN researcher presented him with a proposal for the development of what would later become known as the “World Wide Web” – which was printed on the front of Storr’s T-shirt. “The supervisor never told Tim that the project could not be carried out or that he should stop working on it. He gave him space and encouraged him. Whenever I come across educators, I replace the word ‘supervisor’ with the word ‘teacher’ because that’s what good teachers do. 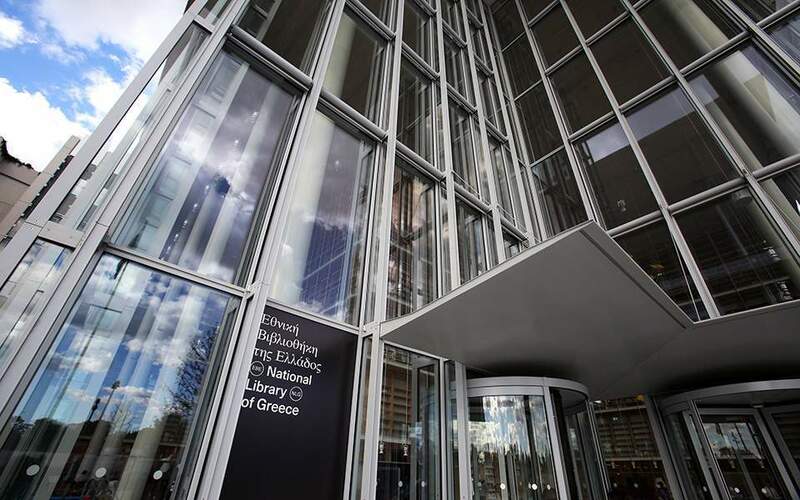 They encourage and guide their students to execute what they think, not just what they have to teach them,” Storr told Kathimerini. The man who has guided several leading figures around CERN’s premises – ranging from astronaut Buzz Aldrin to former UN chief Kofi Annan – was preparing for another tour with a group of Greek primary school teachers who recently spent a week at the world’s largest particle physics laboratory. CERN’s CMS Experiment has organized a new pilot training program, titled “Playing with Protons,” which allows teachers to get acquainted with the basics of particle physics and subsequently transfer their experiences and knowledge to their pupils and colleagues. The center’s facilities are in Geneva, while the underground particle accelerator, the Large Hadron Collider, is housed in a 27-kilometer tunnel beneath the French-Swiss border. A first stop for visitors is the Globe of Science and Innovation, an impressive wooden sphere symbolizing the Earth. A few meters away is IdeaSquare, a state-of-the-art test facility hosting small labs and lecture halls where teachers explore the universe and elementary particles through workshops and talks. “The message we’d like to pass on is that scientific research and discovery is not linear or a given. As far as we’re concerned, this is a pilot program developed through the undivided support of several researchers. It proves that the transmission of complex scientific concepts, even to school kids, is feasible,” said Angelos Alexopoulos, who is in charge of the program. CERN theoretical physicist John Ellis was among the scientists who in the mid-1990s suggested further education programs for high school teachers and, since then, thousands of teachers and students have visited the premises. According to Ellis, as soon as children begin to realize there is a world outside their family homes and start asking questions about it, the time is ripe for them to be initiated to science. He himself realized his talent for science and physics when he was 12, at the time when his interest in science-fiction books shifted to purely scientific volumes. “There is a famous painting by Gauguin, to which I often allude in terms of what we are, where we come from and where we’re heading to. We all ask these questions, especially children aged 8 to 10. We must find a way to distract them from Facebook, Twitter, Snapchat and so on. Beyond the family, the most effective person is the teacher. Teachers play an important role with regard to keeping children’s horizons open,” noted Ellis, who delivered a lecture on cosmology from an educational angle to the delegation of Greek teachers. 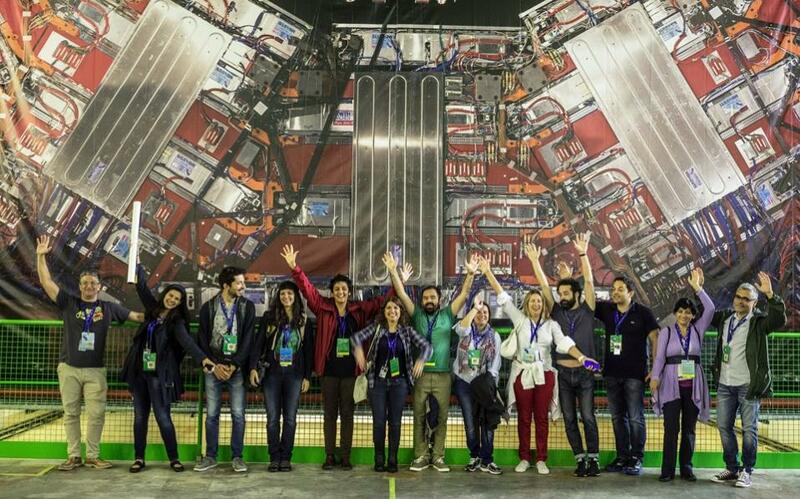 The Greek teachers visiting CERN, who came from schools around Greece, were chosen through a selection and evaluation process. During one of the breaks, they spoke about their pupils’ recurring questions regarding the physical world: What are we made of? What is the universe made of? “Dimitris, a first-grader, drew the Earth with a line underneath it. I asked him why and he said the line was a base so that the Earth wouldn’t fall,” said Despina Armenaki, a teacher from Chios. After the break, Tina Nantsou, a physics teacher at Hill School in Athens, who is also in charge of the program at the educational level, assisted the teachers in a series of physics experiments carried out with simple, everyday materials, which, in turn, they aimed to reproduce with the children in the classroom as an introduction to the world of science. The Rutherford atom experiment was executed with Play-Doh, for instance, while candies and pasta were used for atom construction. CERN operates between two worlds. On the surface it resembles a vast university campus featuring gray, bulky buildings, many of which were erected in the late 1950s. This is where scientists working at vintage desks with neon lamps develop their pioneering work on particle physics. CERN’s challenge, however, lies underground, where CERN engineer Andromachi Tsirou – also a co-organizer of the program – led the Greek teachers, now kitted out in safety helmets. While the group walked the short distance to the innermost area, Tsirou spoke about the equipment and the difficulties of putting CMS together. Underneath the Earth’s surface, the technology developed by CERN is being used to open a new chapter in physics and answer questions such as that regarding dark matter. Back on the surface, a life-size photograph of the CMS detector is impressive, but when it comes to its complex operation, a child’s drawing likening the detector to fishermen throwing hooks in a lake filled with particles catches the essence. The “Playing with Protons” program was implemented with the support of the EU’s CREATIONS project, while the research and development department of the Ellinogermaniki Agogi School is in charge of overseeing the program’s implementation at schools throughout the academic year. 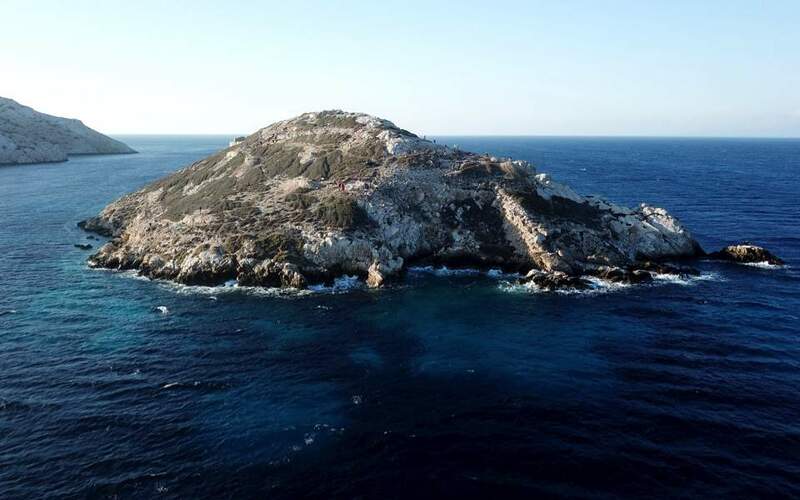 “We want the program to be sustainable, not just a flash in the pan,” noted the department’s researcher Stefanos Cherouvis. 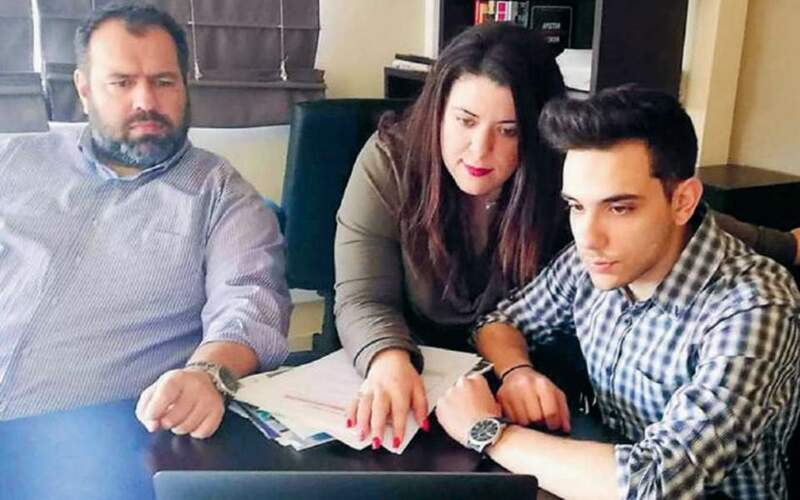 Liaising between the Greek Ministry of Education, the European Union’s offices in Greece and other bodies is nonprofit social innovation start-up New Wrinkle. 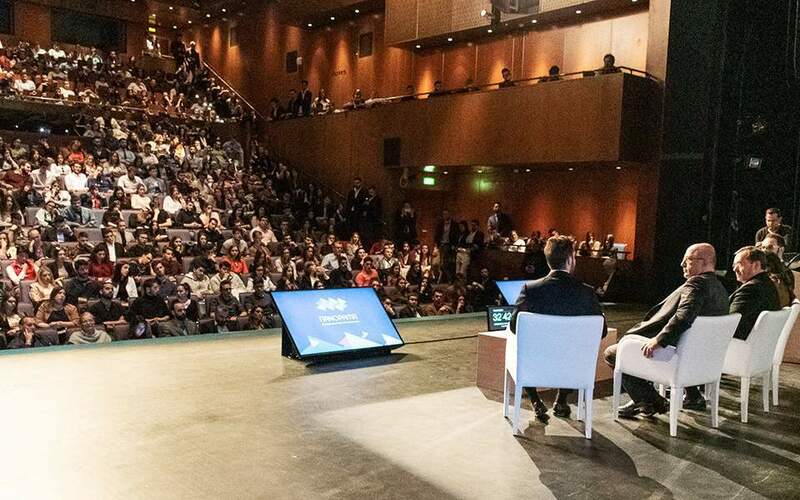 “We hope to work together with CERN again,” said the start-up’s head Stefanos Nollas, adding that support from Hellenic Petroleum, Athens International Airport and ELPEN pharmaceuticals was pivotal for the program’s implementation.